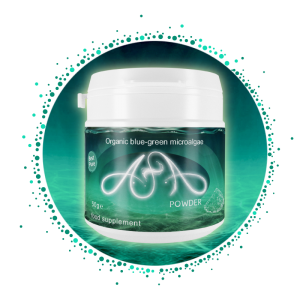 Wild blue-green AFA microalgae (Aphanizomenon flos-aquae) is a great food for health. THE GOLDEN APPLE’s AFA comes from the beautiful clear waters of Upper Klamath Lake, Oregon, USA. AFA enriches the human body with essential vitamins, minerals, amino acids, and lots of pigments. 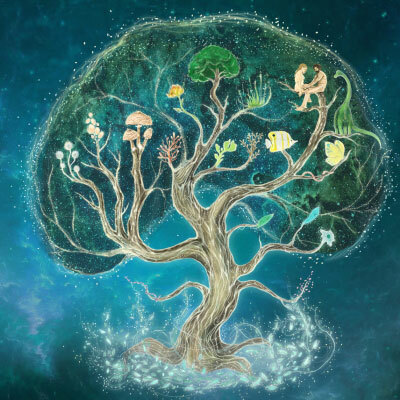 Exceptional food for the brain and a powerful natural antidepressant, it strengthens memory and concentration, intensifies healing processes, reduces chronic fatigue. The ability to stimulate the production of adult stem cells in the bone marrow due to the polysaccharides contained in AFA. 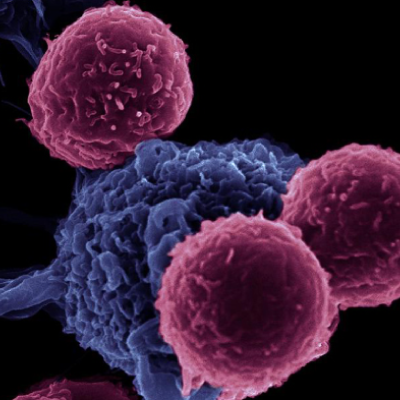 Numerous scientific studies demonstrate the ability of AFA to increase the number of haematopoietic stem cells from 30 to 80%. Five grams of by THE GOLDEN APPLE’s AFA activates the proliferation of adult stem cells in the bone marrow. That is why AFA is an indispensable ingredient in our GoldenStemPower product. AFA is a powerful immune system regulator. It reduces the risk of flu and colds. A gram and a half of THE GOLDEN APPLE’s AFA increases the production of immune cells by 40%. It is an exceptional food for the nervous system and the brain. AFA by THE GOLDEN APPLE is the richest food in phenylethylamin (PEA), the hormone of happiness. It is a powerful natural antidepressant, which relieves depression, enhances mood, and improves memory and concentration. It is the richest natural source of vitamin B12, which makes it an ideal food for pregnant women, babies, vegetarians and athletes. AFA contains many pigments that have purifying, anti-inflammatory and anticancer effects. This unique food gives your body all the essential vitamins and minerals in perfect proportion and with maximum level of absorption. Contains all essential amino acids in a proportion closest to that of the human body. AFA is extremely rich in the most easily absorbed proteins – 95% absorption. AFA alleviates conditions associated with inflammatory processes. It contains phycocyanin, the blue pigment which was proven to block the cyclo-oxygenase (COX-2) enzyme, which induces the synthesis in the body of substances that cause pain and inflammation. Phycocyanin is a strong natural antioxidant. 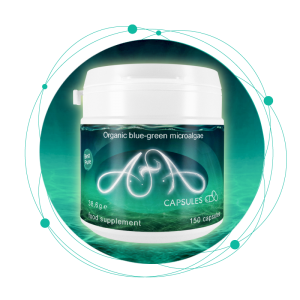 The blue-green AFA microalgae by THE GOLDEN APPLE are a natural organic food with the highest level of absorption, without any side effects or contraindications. AFA accompanies the healing of many diseases, including cancer, diabetes, multiple sclerosis, thyroid problems, depression, sleep problems, eyesight issues and many others. Today AFA blooms in the beautiful waters of Upper Klamath Lake in southern Oregon. The name, Aphanizomenon flos-aquae, means “invisible flower of the water”. Over the past 30 years, it has been harvested and sold as a unique food supplement, rich in health-beneficial organic compounds. Although AFA grows in many other places in the world, the biomass that annually accumulates in Klamath Lake is unique with its abundance and purity. In the harvest season AFA absorbs the available nitrogen and creates a massive bloom, so the water volume is practically 100 percent clean AFA. THE GOLDEN APPLE‘s products contain 100% certified pure organic AFA from the Klamath Lake. Why choose THE GOLDEN APPLE’s AFA? AFA by THE GOLDEN APPLE is certified for 100% organic production. 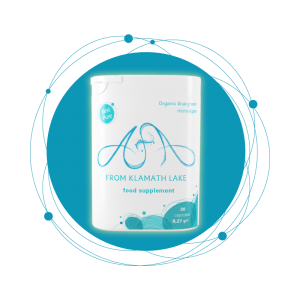 AFA is cooled to 5 degrees immediately after removal from Klamath Lake, which guarantees 100% retention of cell nutrients. 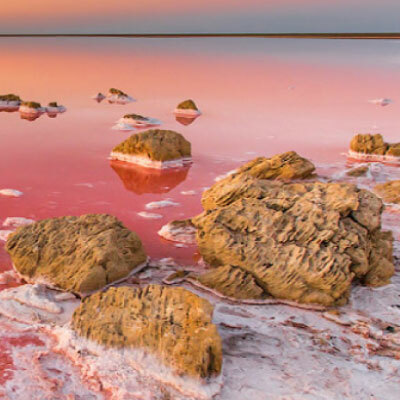 AFA is wild microalgae growing in an alkaline, clean lake surrounded by volcanoes, lakes and wild nature. AFA by THE GOLDEN APPLE is extremely rich in phytopigments. It is the richest if compared to the other AFA on the market because of our manufacturing method. AFA and to all other species, a potent natural antidepressant that enhances memory, creativity and intensifies the ability to concentrate. It contains 18 essential amino acids in a proportion closest to that of the human body. 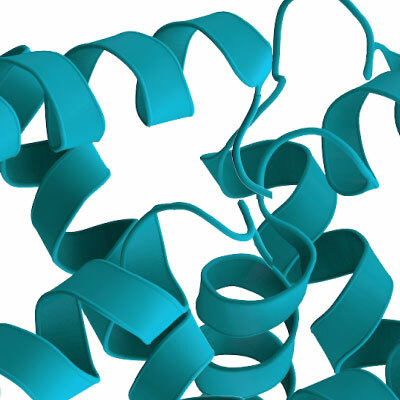 AFA contains the most easily absorbable proteins – 95% absorption. 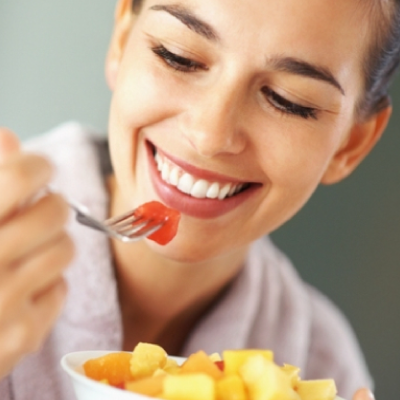 Ideal food for vegetarians, pregnant women, babies and athletes. Five grams of AFA by THE GOLDEN APPLE stimulate the release of mature stem cells from the bone marrow. A gram and a half of AFA by THE GOLDEN APPLE stimulates 40% of the immune system cells. AFA is extremely rich in carotenoids – more than 240 retinol equivalents per gram. They are powerful antioxidants, immune system harmonizers that prevent cancer and improve the eyesight. Low price per gram, high value for money, pure and nutritious food from Klamath Lake. THE GOLDEN APPLE’s microalgae are a natural organic food with high level of absorption, without any side effects or contraindications. Dietary supplement, not a drug.